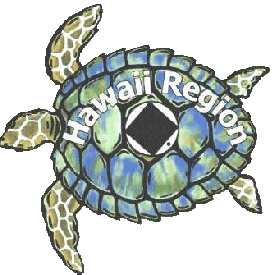 To facilitate resources that unify the Hawai’i Region through support of the Area Service Committees within the Region by providing timely and effective access to information and services, resulting in the continued improvement of the implementation of our services to further our primary purpose throughout our unified areas, our region and our zonal forum. Assist in developing unity throughout our NA Region by providing assistance in hosting events which have an impact throughout the unified region: Annual “Learning Days”, The Annual Regional Convention, Quarterly HRSC meetings, and other statewide “event” projects as requested by the NA Areas. Provide easy access to information from various sources that match the needs of the Areas. 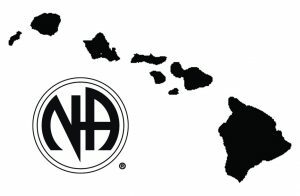 Manage the Hawai’i Regional funds responsibly: funds for our operations are derived from conventions, merchandise sales and regional donations from NA areas and groups. Appoint ad hoc committees as necessary and as requested by NA Area representatives or NA Regional Committee Members. Being responsive to the needs of the areas; at our quarterly meeting assist with, or clarify issues affecting NA areas when brought to the attention of the regional body by their representatives or individual members. Fund travel of our delegates to the respective conferences, and our administrative committee of the HRSC to its quarterly meetings. Provide protection for the individual and the group against third party claims by maintaining a general liability insurance policy for the specified island gatherings of the NA Areas and the Hawaii Regional Convention.